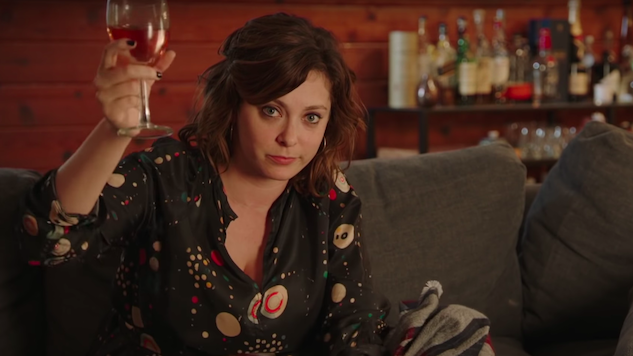 “It’s weird to tell a story about Nazis and be so cozy,” says Crazy Ex-Girlfriend’s Rachel Bloom, who is snuggled up on a couch as she recounts the story of how Israel’s Mossad managed to track down Nazi officer Adolf Eichmann in this Tuesday night’s episode of Comedy Central’s Drunk History. The hilarious clip, complete with Weird Al Yankovic and some inappropriate behavior from Bloom’s dog, shares a plot with Chris Weitz’s fall feature Operation Finale. It will be interesting to see how the Oscar Isaac-starring film about Eichmann’s capture compares to Bloom’s wine-drunk retelling. Who will nail Eichmann’s character better, Ben Kingsley or Weird Al? Check out the Drunk History clip below. The show is currently in its fifth season on Comedy Central, with new episodes airing on Tuesday nights at 10 p.m. ET.